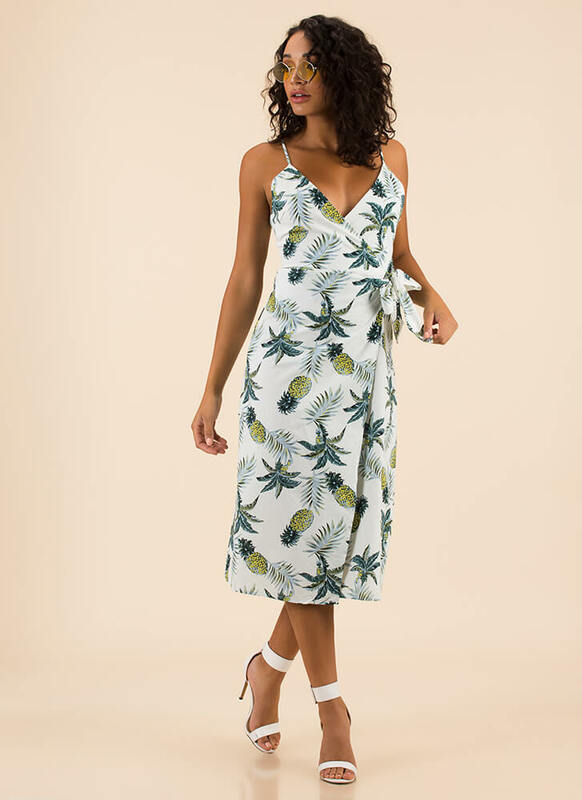 We think your closet could use some island flavor... Sleeveless, non-stretchy, wrapped midi dress features a surplice top with a plunging deep-V neckline, self-tie straps on one side, and an allover tropical print of pineapples, leaves, and palm fronds. 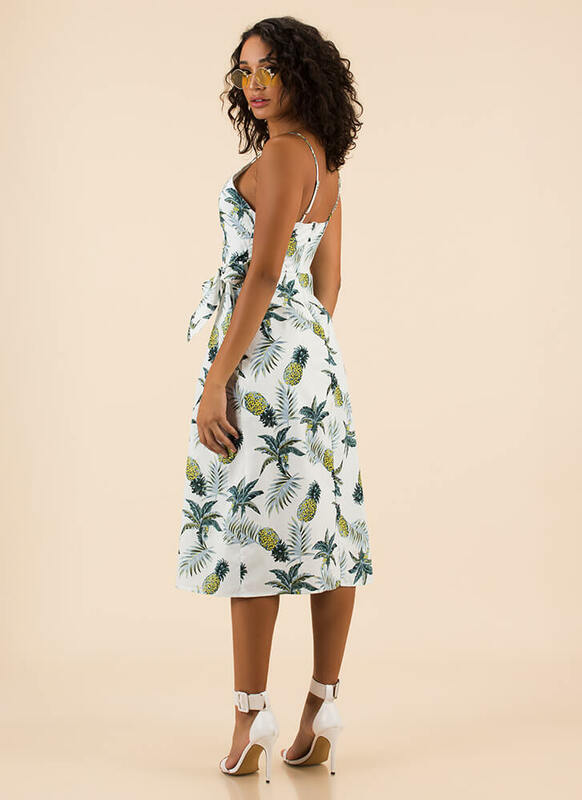 Dress is finished with adjustable spaghetti straps and a hidden rear zipper for easy on and off. Pattern placement may vary.